Where the Integrated Physical and Sensory Service (IPaSS) and educational establishments are working together to support children and young people with additional physical or sensory difficulties, the following actions have been found to facilitate a co-ordinated approach. Agree in advance the dates/times of visits and meetings, identifying where a room separate to the main classroom is required. Liaise with key school staff following routine visits to share information and advice. 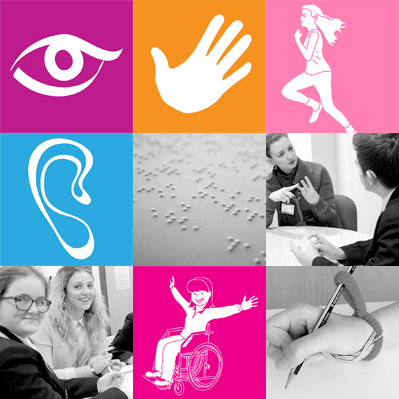 Provide information regarding children/young people's achievements in British Sign Language, Braille etc. Provide advice/support regarding curriculum access participation, inclusion and the development of independence, suggesting equipment and strategies to overcome barriers to learning and inclusion. Liaise with school staff re modifications/disapplications in relation to the curriculum and external examinations/assessments. When notified in advance of out of hours meetings, such as parents meetings, IPaSS staff will make every effort to attend. If requested within a reasonable time frame, adapt curriculum materials on site to promote curriculum access and inclusion.